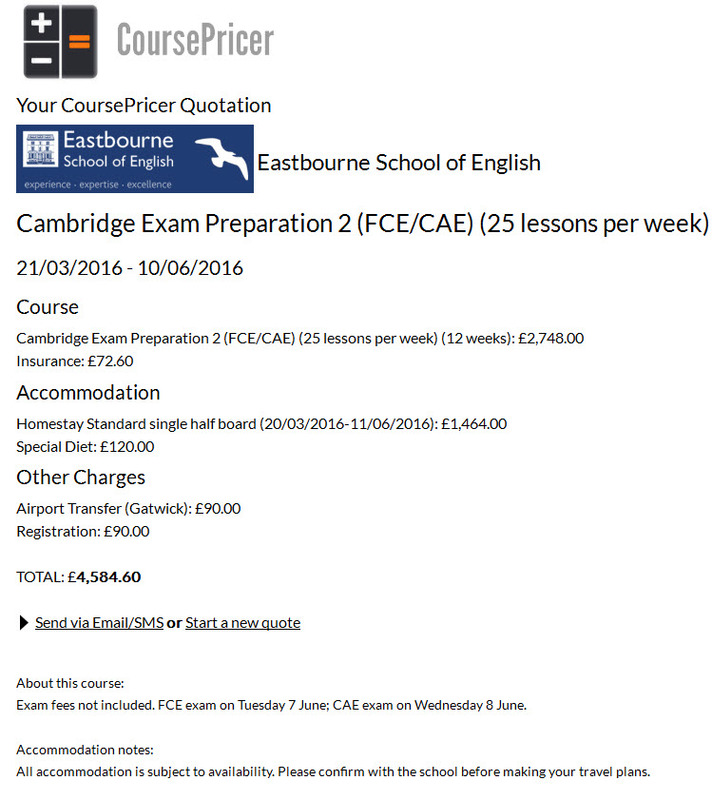 Tagged with CoursePricer, English in Britain, UK. 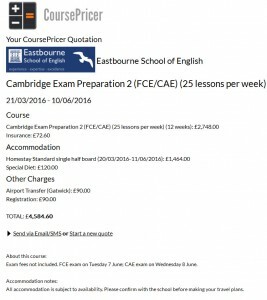 International Education Connect Ltd, the publisher of English language course search portal, English in Britain, has created a new online plugin for language school websites that aims to help students understand the true cost of studying abroad. The CoursePricer app can be embedded into schools’ websites, using existing information to calculate an instant, itemised quotation for any course, taking into account students’ accommodation and extra-curricular preferences. The service is being offered to English in Britain members as part of their existing subscription, and has so far been taken up by 115 schools. The app uses drop-down menus to enable students to input preferences such as length of stay and type of course; accommodation type, including special requests such as an en-suite bathroom; and extra-curricular activities. It then calculates the cost of the student’s stay, based on these preferences, and emails them a copy of the resulting quotation, along with an SMS summary. The school also receives a copy, enabling them to track enquiries. The service currently displays prices only in GBP, but a function enabling students to view prices in any currency will be rolled out later this year. Even for schools that present pricing information clearly on their website, CoursePricer enables students to access information in a way that is “friendly, flexible and fast”, commented David Blackie, director of International Education Connect. “There are by now quite a lot of online booking systems, some of which are quite elegant and some of which provide quotations, at varying speeds,” he told The PIE News.